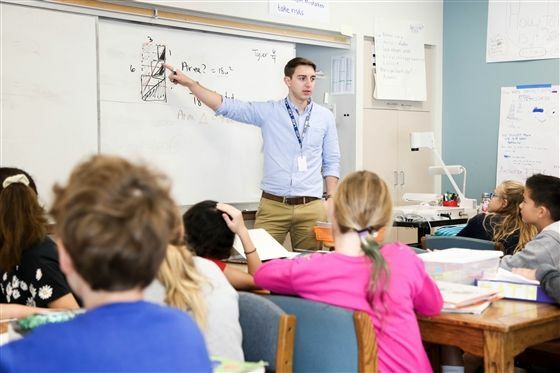 Read how a member of the math department encourages LJCDS students to make mistakes. Raise your hand if your teacher made lemonade in math class. Middle School math educator Andy D’Avanzo’s fifth-grade students watched a word problem come to life before their eyes. It made the question “How many lemons would it take to make six cups of lemonade,” an experiential exercise. The basic principles that relate fractions to ratios and proportional reasoning were learned by using a relevant example. Students in Mr. D’Avanzo’s class are encouraged to count on their fingers, draw pictures and use multiple strategies. They’re shown that there’s more than one way to complete a problem and that math is a series of steps that can be exploratory and creative. And most important, students are allowed to make mistakes. Mistakes are seen as an opportunity to learn.